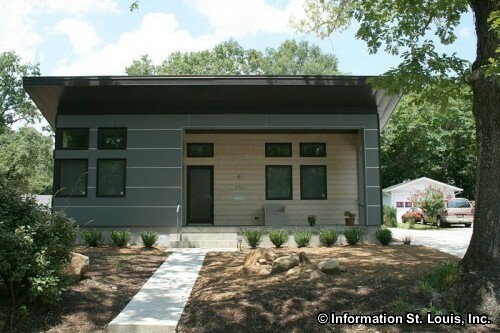 Welcome to St Louis' best website to search for Green Homes and Energy Efficient homes as well as learn about what makes a home green. Here you will find all the green homes that are listed in the St Louis MLS IDX with photos and complete details. What is a "Green Home"? The term "green home" is very broadly used and does not have a technical definition. Generally, a green home that provides energy efficiency above that of a typical home, perhaps through the use of renewable energy and contains environmentally friendly building materials thereby reducing waste and toxins. What is an "Energy Star Home"? "Energy Star certified" is a certification given by the Environmental Protection Agency (EPA) to new homes that are designed and built to provided energy efficiency superior to that of other homes. According to the EPA's website, Energy Star certified homes are so energy efficient they deliver energy cost savings of up to 30% to the owner. What is a "LEED Certified Home"? Leadership in Energy & Environmental Design (LEED) is a certification given by the US Green Building Council when a project satisfies requirements with regard to energy efficiency and environmentally friendly building practices. What is a National Green Building Standard Home"?This is a certification program that incorporates energy efficiency but also goes beyond that. To earn a National Green Building Standard certification the building must be built to meet high performance levels in six areas: Site Design, Resource Efficiency, Water Efficiency, Energy Efficiency, Indoor Environmental Quality, and Building Operation & Maintenance and it must be verified by an independent third-party.